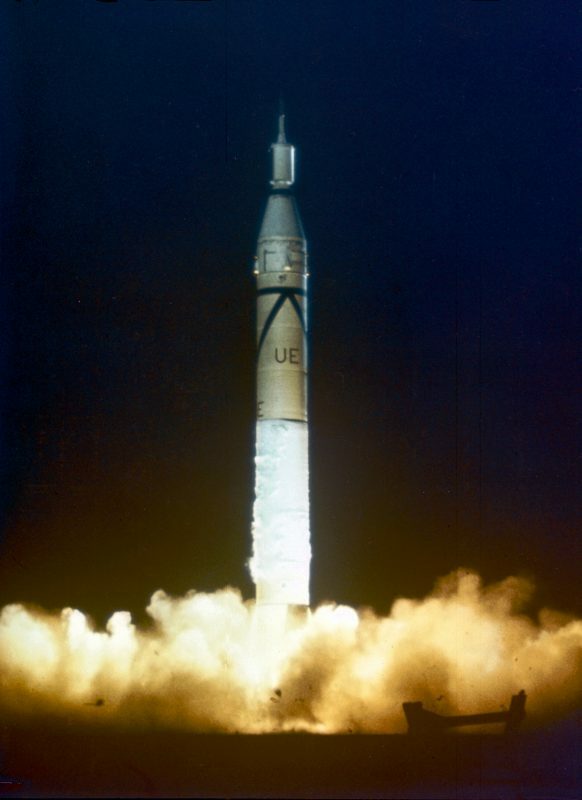 What you see is the Explorer 1, a ballistic missile that inaugurated the space age to USA in 1958 (if I’m not mistaken). This missile was carrying instrumental for, among other things see if it was true the discovery of Van Allen, Van Allen belt. The belt / is Van Allen are places in the magnetosphere charged particles, unusual concentrations of these. 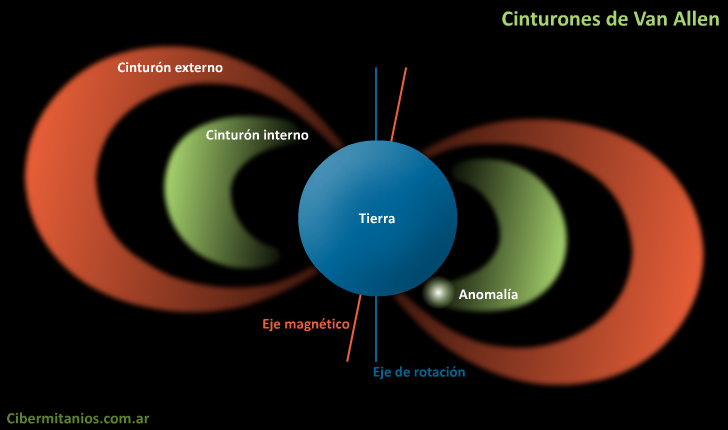 They are one of the most important components of the magnetosphere and are present not only on Earth but on planets that have magnetosphere. Van Allen belt is a torus around the Earth, but actually there are two different distances, one close, about 1500 km and another distant about 20,000 km. As an area of ​​concentration of protons can modify the orbits of elements that cross. As I indicated is composed of protons (and antiprotons) captured by the magnetosphere that are concentrated there. The nice thing is that once the captured particles are there, because the energy they have (about 35KeV volt–electrón) end is hitting the upper atmosphere, they would take ahead what orbit around or leaving expelled into space. The reason of said belt is due to the Earth’s rotation which makes that area in a conductor. That is, is the rotation of the Earth itself and the movement of the magnetic field which not only created this belt, I repeat, on planet Earth.